Our shipping or packing crates are made from different types of wood depending on the size, load required and re-usability requirements. At Huddersfield Pallets we pride ourselves on the quality of our workmanship in the manufacture of all our products. Wood, Oriented Strand Board (OSB) and plywood are the most popular materials used in our pallets and all come in various thicknesses. 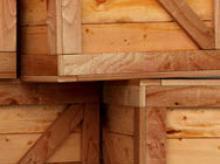 Our boxes can be lined with a moisture barrier lining if required. 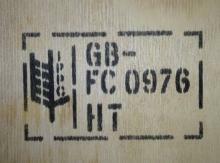 Pallets and packing cases can be heat treated by Huddersfield Pallets and stamped as officially certified. Heat treatment when applied means that the pallets or cases are free of any undesirable insect or disease pests, which can be an important consideration in some industries.